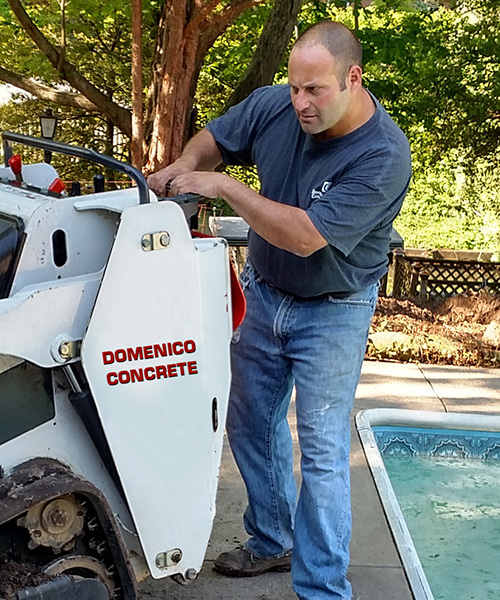 My name is Domenico Davide and I am the owner & operator of Domenico Concrete, a local, full service concrete contractor. At our core is the desire to provide unparalleled quality in workmanship and never lose focus of customer satisfaction. We appreciate the opportunity you, our customer, provides us and are committed to providing you with the best experience possible. Additionally, we desire to exceed your expectations every step of the way! We'll accomplish this through prompt immediate service, constant communication throughout the repair process and completion of your repairs in a timely manner. Furthermore we, always follow manufacturer and building code specifications and never cut corners to be the lowest price or quickest turnaround. Domenico Concrete... committed to doing things right one time - the first time - and leaving you and your family with "Peace of Mind." Check out our Better Business Bureau rating!